A beauty habit I have gotten more into the last month is painting my nails! I have always loved to have my nails done just rarely took the time to do them myself. When setting out a few minutes to focus on just one thing is quite relaxing like I find when I am doing my nails. I’m not into the crazy nail art but the perfect color can set the tone for your week! Here are some of my favorite colors for each season! Spring: [Revlon 250 Rich Raspberry] It reminds me of the vibrant spring blooms! Summer: [Beauty Concepts] Bright and fun like the perfect summer day! Fall: [OPI NL G16 Don’t Pretzel My Buttons] It’s a simple color that can be mixed with all the fall colors! Winter: [Estee Lauder GF E19 Le Smoking] Bold and classic red just adds to the excitement of the holidays! Nail Strength: [OPI Nail Envy Original] It really helps take care of your nails. I will usually put it on before my color and when you just want a little shine the clear glaze is perfect! 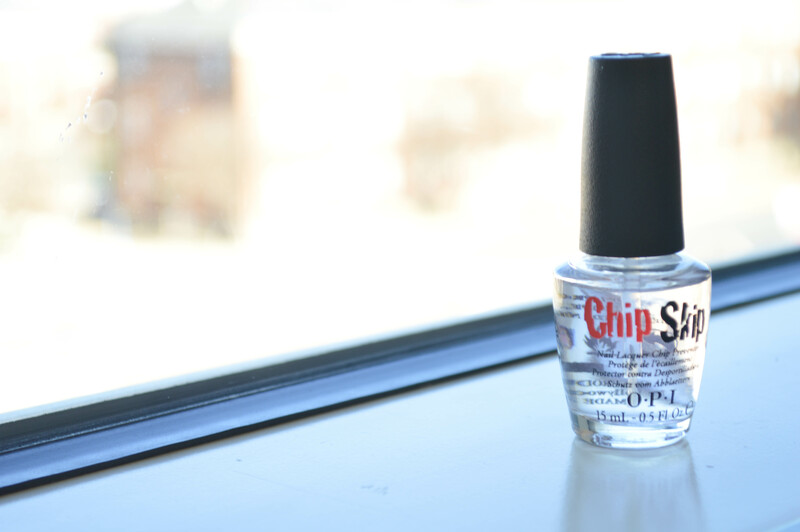 Nail Polish Care: [OPI Chip Skip] To keep your hard work in tact for a little longer it helps to apply the Chip Skip top coat after the color has completely dried. The idea is to reapply it every morning you have color on your nails, but I try for every other day! What’s you favorite nail polish color?